This piece could easily have been titled, Peoria Mayor Jim Ardis (below, left) discovers the Streisand Effect. The same might be said of Peoria Police Chief Steve Settingsgaard. Sometime in February or early March, the Twitter account @Peoriamayor was created, with a picture and fake bio of Mayor Ardis. On or about March 10, the account was labeled a parody, clarifying that it was not really Jim Ardis’ account. That did not deter Ardis, who appears to be as thin-skinned as any politician we have seen recently. He recruited Police Chief Settingsgaard to track down whoever was behind the parody Twitter account. Over a period of three weeks, detectives from the Peoria Police Department conducted an intensive internet manhunt for the person or persons responsible for the Twitter account. On March 14, Judge Kirk Schoebein signed a warrant ordering Twitter to turn over account information to the Peoria police. The information was released to the police, and on March 29, Judge Lisa Wilson approved a warrant to Comcast to locate the user who owned the Twitter account. Jacob Elliot, who lives on North University Street, was identified as the owner of the account. On April 15, Circuit Judge Kim Kelly of the Tenth Judicial District of Illinois approved a search warrant on Elliot’s home. The warrant was executed on April 17. A half dozen officers from the Police Department raided Jacob Elliot’s home in Peoria. Police Chief Settingsgaard claimed that by setting up the fake Twitter account, Elliot was “impersonating a public official.” Twitter deleted the account @Peoriamyor when they got the warrant for information in March, saying their Terms of Service were violated. Elliot’s parody Twitter account lasted about a month or less before it was taken down. He had made a total of about fifty tweets, and just a handful of subscribers. In the tweets, he compared Ardis to Toronto Mayor Rob Ford. As soon as news of the raid and arrests hit social media sites, in just the past couple of days new parody sites, such as Not Jim Ardis, have popped up like mushrooms after a spring rain. Mayor Ardis, meet the Streisand Effect. Note that in the warrant, there is authorization to search for drugs as well as computer and telecommunications equipment. Elliot was arrested for having marijuana at his home, but nothing was in his booking report about his parody site. This is another example of using drug laws to go after someone where there is an almost 100% chance of the charges being thrown out on Constitutional grounds. His girlfriend was in the shower when the police came. One other friend was at the house. All three were taken to the police station and questioned, but only Elliot was arrested. I have a whole lecture on the Law of Unintended Consequences. 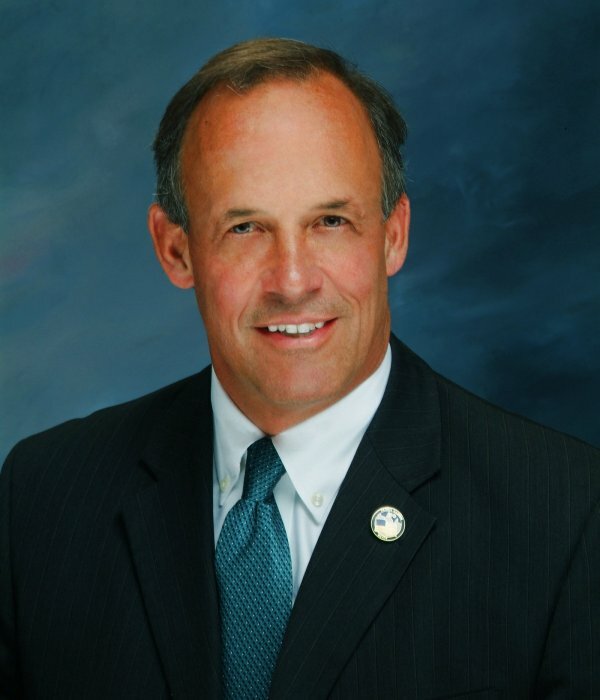 I had never heard of Jim Ardis or Chief Settingsgaard before yesterday. Now, the story is spreading on the Internet and millions of others who never heard of him either know his name and picture. Mayor Ardis managed to throw gasoline on a spark that was about to die of its own accord. Sorry, I see her name was Judge Lisa Wilson, but still only found a Kim Kelly. So where was the probable cause that justified searching the premises for drugs? This warrant passed through the hands of three judges. Is this the current state of our system of justice, some greasy politician feels his ego has been bruised so he unleashes the hounds of justice on a citizen? Wow! Maybe it’s time to move to China or Russia. At some point in all these arguments logic and reason must enter in as well as ballance. First let me say to sue someone for libel you are going to need to prove some kind of loss ie damages in this case the only damages caused were by the actions of the mayor, the police chief and the judges and those damages are to us all. Second for any reasonable person to believe that someone who portrays themselves as a God Fearing Catholic public servant, the idea that they would make such post as was done by Jon borders on retardation. The actions by the mayor and his supporting cast of idiots far out weights the actions by Jon, there is no balance. Results: regardless of all the case law sight above there is a final arbitrator of these cases and that is the voting public. Just as what happened with the idiot judge in texas the voters decided to toss the bum out as the judge outed himself on just what kind of fool he was. If the Republican party in Peoria does not take action I will personally lead a fundraising campaign for a any demOrat contender as any rat to me is preferable to a fascist thin skinned public trust abusing fool. The last thing we need in the GOP is fools like this mayor and those who assisted him. Leave the fascist activist to the fruit of loom progressive of New York the left coast. Samantha and Schulte: There is nothing refreshing about Bundy. The guy is nothing but a spoiled, ignorant thug. How do you feel when someone lets their dog poop on your lawn and doesn’t pick it up? How would you feel if someone cut down a tree or removed shrubs from your yard? Or if someone killed your pet? That’s how I view what Bundy was doing by grazing his cattle irresponsibly on public land. I say this as someone who cares about the Western U.S. Anyone who truly cared about the West would know that the ecosystems are particularly fragile, and would certainly disapprove of what Bundy was doing. RTC – according to the Constitution all states are to enter on the same footing, however, all the states in the West had land seized by the federal government. Now, Bundy is making the claim, and I think he has a claim, that the land actually does not belong to the US government, it belongs to the state of Nevada. More than half the land in Arizona belongs to the feds. Same with the other states who came into the Union about the same time. How much federal land is there in New York state? Or New Jersey? Or South Carolina? The first thing I did after reading this story was open another account in this tyrants name. The Nazi Police Chief had the option of refusing to allow his men to be used for this purpose. His gutless act of disregarding his oath and allowing himself to be used for political purposes says everything you need to know about him. Gutless traitor. These types of acts keep occurring on a regular basis and the welcome these people receive is eventually going to be quite different. The Police and politicians in America are driving a wedge between them and the people that will eventually turn into something very nasty and it will be their own darn faults. Don’t thumb your nose at the mayor, or you’ll be swatted. What a great use of the police, meanwhile did the crime rate rise? Death toll in Chicago was heavy over the Easter weekend. What abuse of power going unpunished? That’s the Amerikan way. But not for much longer. I’m not sure of the exact legal terms, but wouldn’t the police have to have probable cause that drugs would be in the house to get a warrant that included drugs? What are the chances that the police will be prosecuted for providing false information to a judge to get the warrant. Simms – I think the whole drug thing is part of a cut and paste search warrant they do so they can seize anything they find. Paul, this is certainly a work that I would highly recommend, along with The Tragic Sense of Life by the same author; the neglect of these works in America in favor of figures like Carl Schmitt, Foucault and Derrida is deplorable. I would also recommend both works to Professor Volokh if he should happen to read our exchange, as he would perhaps learn a good deal from them about the human condition, the meaning of satire, and the role he has apparently chosen to play in a deeply troubled society. Quixote – I am a Jonson scholar so I am familiar with satire. Unamuno has been dead lo these many years and his study was written in 1905. When I took Don Quixote in the 1960s, his “well-known study” was never discussed.